Beigefügt ein GRS-Report Nr. GRS2011-090297T vom September 2011. Accompanied by a report from GRS no. GRS2011-090297T dated September 2011. 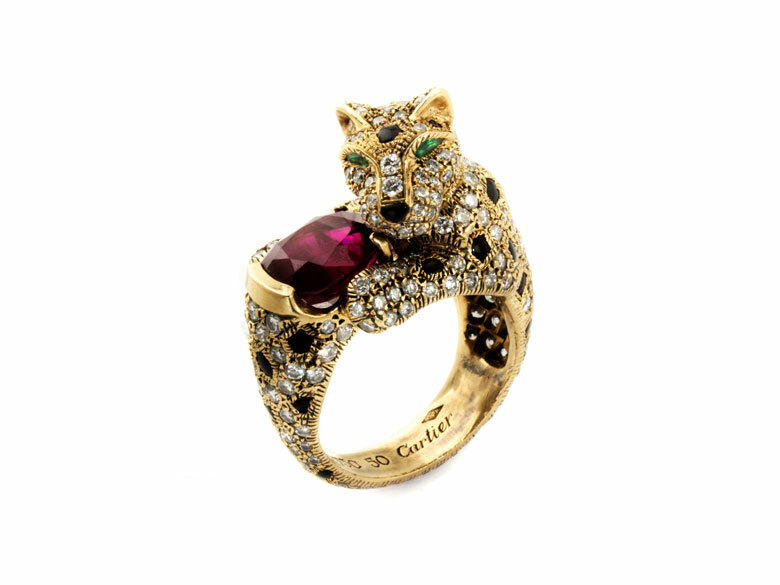 Rare high-quality panthère pave-set with brilliant-cut diamonds, onyx and drop-shaped emerald eyes. 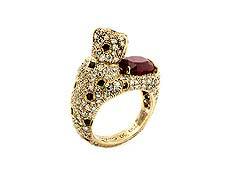 The end of the tail is set with fine, intense red, oval faceted Burmese ruby, ca. 2.94 ct.